That’s why we’re lifting up the World Vision Global Young Leaders! This group of 60 children and young people from more than 25 countries around the world are passionate about ending violence against children. When they commit to a year in the Young Leader program, they’re provided with training on leadership, public speaking, and writing skills. They’re also educated on children’s rights, civic engagement, advocacy techniques, and campaigning tools. Then, World Vision helps create the space for their voices to be heard! Whether at a community event or a roundtable discussion, the youth leaders are able to communicate their own experiences and the experiences of their peers. That allows them to influence others, helping contribute to making positive changes in their communities and countries. The young participants also engage virtually with their networks using online methods for wider participation, representation, and inclusion. And some of the youth leaders have even made appearances at regional and global events to ensure that children and young people’s voices are represented at high-level forums. Why are these youth leaders so important? Young people have the unique ability to contribute to making positive changes in their communities and countries, as well as mobilize their peers to help change current negative policy, practices, and attitudes. When young people are empowered as agents of change, they can pass the information and skills they’ve learned to others in their communities. That helps make sure that the knowledge and skills they gained will remain with their communities for the long-term. 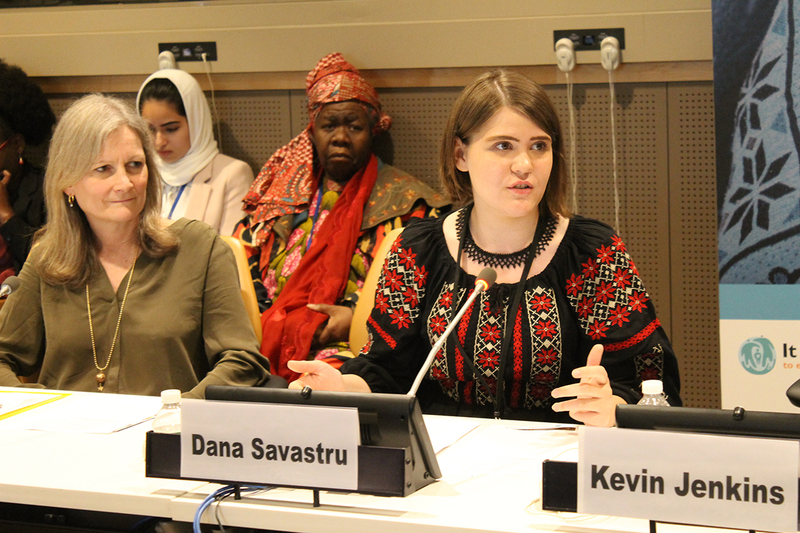 Photo: At the “It Takes A World” campaign launch at the United Nations in New York, Youth Leader Dana Savastru from Romania spoke about violence against children. ©2017 World Vision, Christina Voigt LeBlanc.